Miniature nuts are a pain. They're hard to pick up and even harder to thread. This tool does both so easily that it feels like cheating. Holds all of our miniature nuts from .056 inch to .125 inch. Cap nuts, star nuts, lock nuts or round nuts...any pattern works. Grab the nut right from your workbench and screw it on! 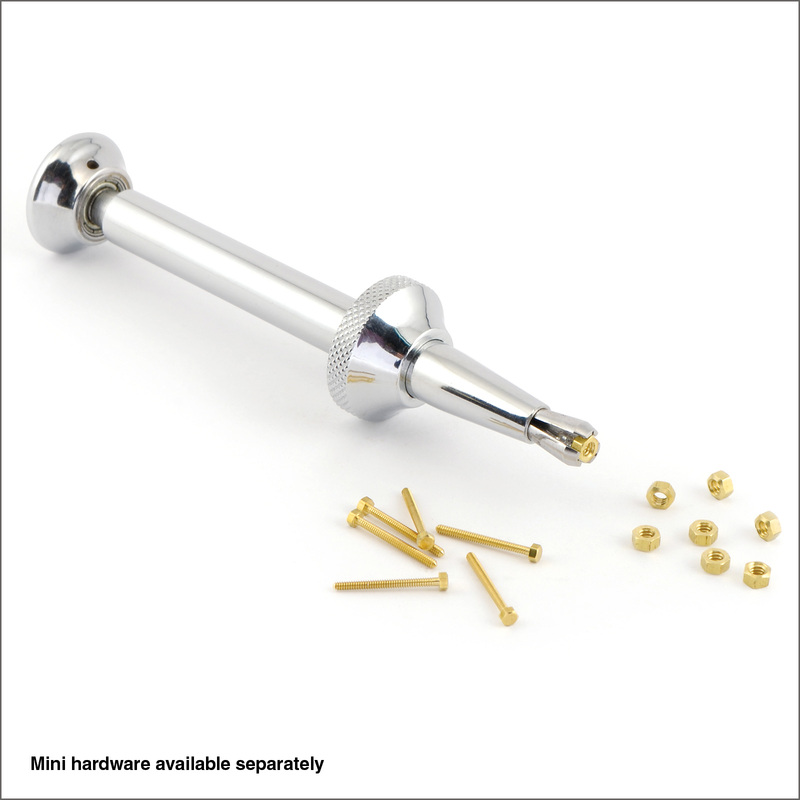 'Off-label' usage includes round shanks and hex screws in the same size range. Great for eyeglass hinge screws as well. If it's tiny and needs twisting, this tool can do it! 3-3/4 inches long. This is a great tool, solid design, well made and worth every penny. I use this item building and repairing brass model trains. Highly recommended purchase. Works as advertised. Grabs the extremely small brass nuts that came with my ship very easily.